The Burke area of the Northeast Kingdom is known for mountain & road biking, hiking, alpine & nordic skiing, snowboarding, Lake Willoughby, and Catamount Arts. There's plenty to explore when you come to play! Kingdom Trails in Northeast Vermont is a multiple-use, year-round non-motorized all abilities trail system unlike any other and recently voted as the BEST MOUNTAIN BIKE TRAIL NETWORK in North America by Bike Magazine in their annual Reader’s Poll. We were also the Editors’ Choice in the 2011 edition of the Yankee Magazine Travel Guide to New England. BEST OF NEW ENGLAND by Boston Magazine Travel & Life. East Burke, Vermont, named one of the 101 Best Outdoor Towns in the U.S.
Hit the road for long miles and enjoy the scenic surroundings: open farm fields, rustic barns, clean lakes and tree topped green mountains. The Green Mountains surrounding our area are a beautiful hiking destination. Offering family friendly day hikes to challenging rock climbing. Ski and ride Burke Mountain. One mile from our door to the lift at the base of the mountain. Family friendly trails for introducing the littles to skiing and challenging terrain for teenagers and adults. Burke Mountain is the first Official U.S. Ski Team Development Site. With 40 kilometers of skate and classic groomed trails for Nordic skiing and snowshoeing at Burke Nordic Center, and 15 kilometers at KingdomTrails Nordic Adventure Center you'll have plenty of trails to chose from. Bet you can't ski them all in a weekend! Swim, sail, canoe, kayak, fish, and visit the beach at Lake Willoughby. Willoughby State Forest includes over 7000 gorgeous acres in northern Vermont. Lake Willoughby offers over 1600 acres containing rainbow trout, lake trout, brown trout, landlocked salmon and yellow perch. The South Trail is well known, offering sweeping views from Mt. Pisgah over to Mt. Hor and beyond. Viewing the nesting peregrine falcons and alpine plant life is enjoyed along the Willoughby Cliffs. Enjoy ice skating in the winter, safe ice conditions permitting. Experience a bit of culture during your visit. Check out live theater, opera, dance performances, visual art gallery, and classes. Catamount Arts was founded in 1975 with a mission of enhancing the cultural climate of northern Vermont and New Hampshire. Integration of the arts into community life has been our guiding principle and we attempt to cultivate awareness and appreciation of the arts through a diversified schedule of film, music, theater, dance, and the visual arts. Imagine a magical highway that suddenly appears every winter. One that goes through back country and snow-covered mountains, secluded valleys and friendly villages. The trails deliver eye-stopping vistas – and conveniently start right at the door of our Inn. Tee off and enjoy the the well-manicured greens at St. Johnsbury Country Club. A 10-12 minute drive from WilloBurke, with the best course in the state according to our guests. Avoid the rough and book a tee time today. Vermont Salt Cave Spa & Halotherapy Center is a contemporary wellness center built around a man-made salt cave composed entirely from Polish rock salt and located in the foothills of Jay Peak in Northern Vermont. 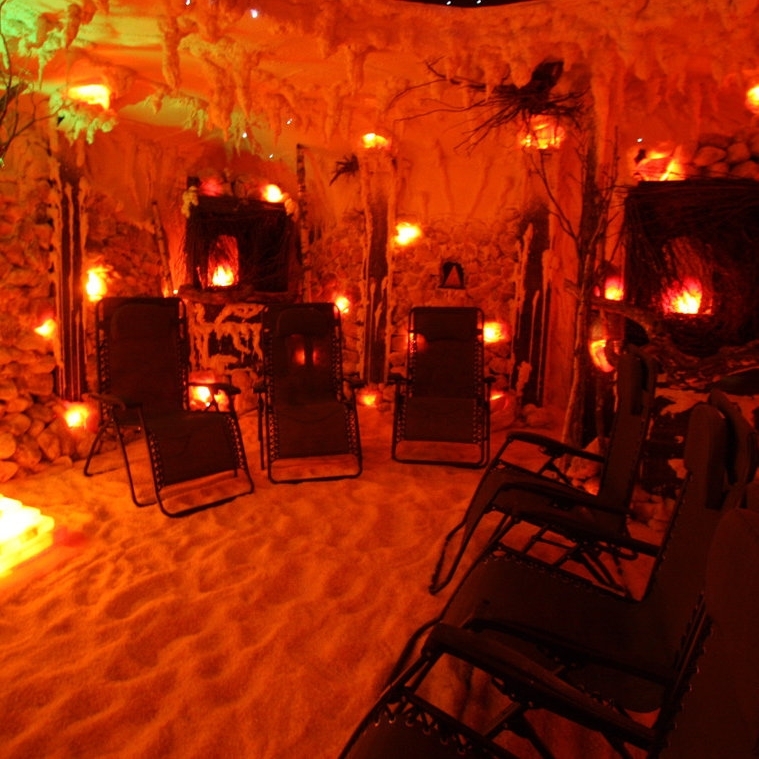 Located in Montgomery Center, about an hour from WilloBurke, the Vermont Salt Cave Spa offers 45 minute salt therapy sessions for total relaxation. 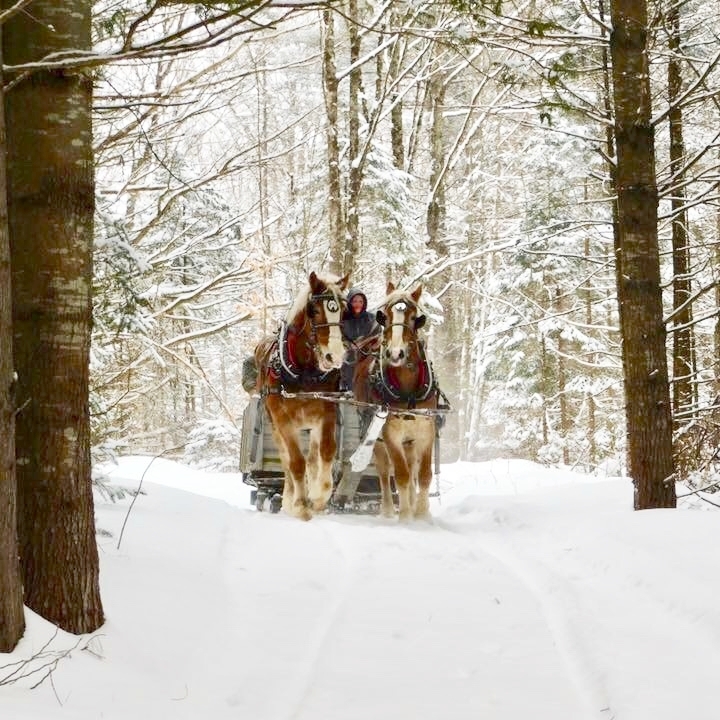 Visit Rainbows Edge Farm in nearby Sutton, VT for a winter sleigh ride over snow covered trails over fields and through woods. Meet Hayden’s team of Belgian draft horses, pet a calf, or maybe milk a cow.